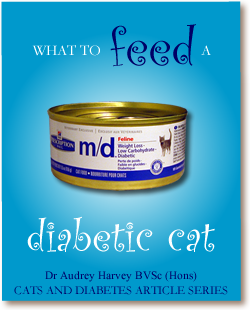 One of the most important ways of managing your diabetic cat is maintaining a consistent diet. They need the same amount of the same food food at the same time each day. This allows you to time their insulin injections to match the increase in blood glucose which occurs after a meal. Part of treating this disease is working out exactly what to feed a diabetic cat. When it comes to cats and diet, it’s important to remember that they are carnivores, and their gastro-intestinal system isn’t designed to digest grains. The ideal cat food for diabetic cats has a high protein level, and is low in carbohydrate. This best meets their specific nutritional needs. Owners should also choose a wet or canned cat food for diabetic cats, because it helps to keep them hydrated. It also appears to make them feel more satisfied after their meal. 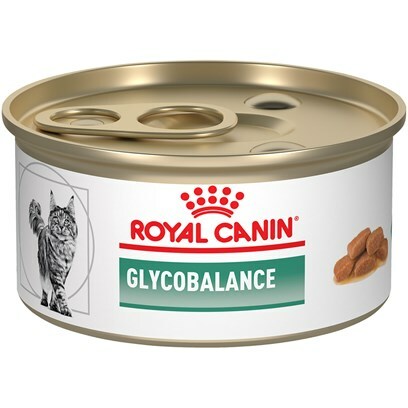 Is there a best dry food for diabetic cats? The answer is no. In fact, some veterinarians feel that eating dry food is one of the risk factors that can predispose a cat to developing this disease. Having said that, many cats eat dry food and never become diabetic. 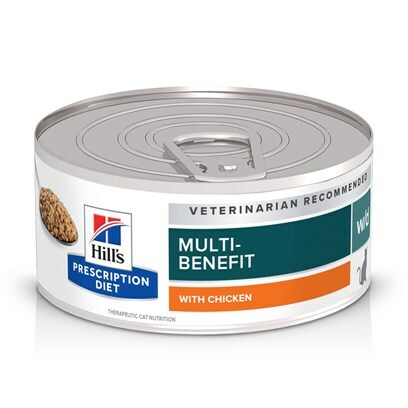 Your veterinarian can recommend a prescription diet for your cat, but these can be expensive. If your budget is tight, there are other options that will be just as good for them. You will be able to find a suitable diabetic diet for cats on your supermarket shelf. Several of the low cost brands of cat food, such as Fancy Feast, can be fed to diabetic cats, and they do very well on them. Some cat owners prefer to cook their own feline diabetic food at home. This is fine if you have the time and inclination, but you must seek advice from a veterinary nutritionist. They can help you formulate a recipe that has all the nutrients needed to keep your cat in good condition. Nutritional deficiencies or excesses can cause health problems of their own. Weight loss can help to manage feline diabetes. However, this needs to be done carefully. Rapid weight loss in cats can make them very ill. Also, if you reduce your cat’s energy intake, you need to adjust their insulin dose to take this into account. Too much insulin and not enough carbohydrate intake can result in a dangerously low blood glucose level. Diabetes and diet are so inter-related in cats that if their carbohydrate intake is lowered and their portion size is reduced, they may go into remission. This means that they are able to maintain normal blood glucose levels themselves, and no longer need injections of insulin. 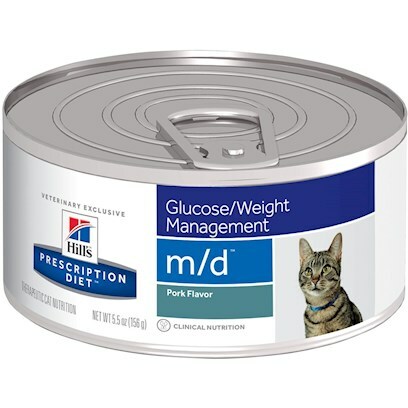 The best diabetic cat food is one that comes in a can, is affordable and tastes good. If you can find one that meets all of these criteria, it will be much easier to keep your cat’s blood sugar levels within normal limits, and neither of you will have to deal with the unpleasant symptoms of their diabetes.